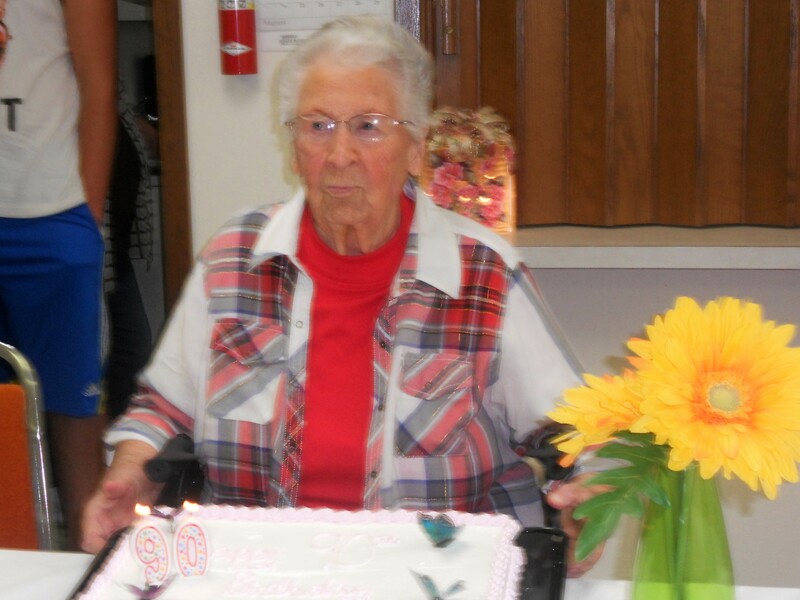 Saturday afternoon, August 29th, family and friends gathered in the community room at the Anamoose Apartments to celebrate Lauretta Schilling’s 90th birthday. Plenty of cake and ice cream, and of course candles! 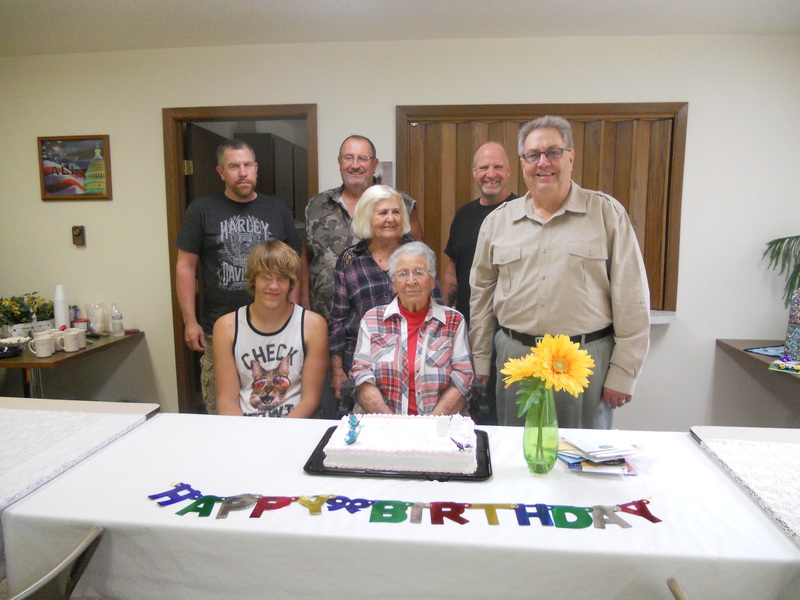 Craig & Janis Schilling of Harvey, Keith Schilling, also of Harvey and Jim Schilling of Fargo hosted the birthday party for their mom. Craig’s son and grandson also were there to celebrate this milestone. The room filled with the warmth of birthday greetings and best wishes from friends. Many friends joined the party to wish Lauretta a special birthday! 1 Response to HAPPY 90th BIRTHDAY!